The latest smartphones on the market are delicate objects: just ask anyone who has ever smashed the screen of an iPhone, for example. If you live an active lifestyle and need a phone that can take a bit of punishment, the Sony Xperia go may be perfect for you. It's Sony's first dust and water resistant Android smartphone and it has been designed to take a beating. The Xperia go isn't the first rugged smartphone to make it out of Sony HQ. Last year, before Sony bought out the Ericsson share in the Sony Ericsson joint venture, the Sony Ericsson Xperia Active was launched in various overseas markets. That phone never made it to Australia, however, so the Xperia go is the first Sony-branded rugged phone to launch Down Under. The key feature of the Xperia go is a water and dust resistant rating of IP67, the highest industry level rating according to Sony. The company says the Xperia go can survive underwater at a depth of up to one metre for around 30 minutes. That should be enough to ensure it won't be pronounced dead after a quick swim in the backyard pool, but it's not enough to take it into the ocean with you, for example. Motorola's Defy phones, the original Defy, the Defy+ and the Defy Mini, are the only other rugged Android phones sold in Australia. 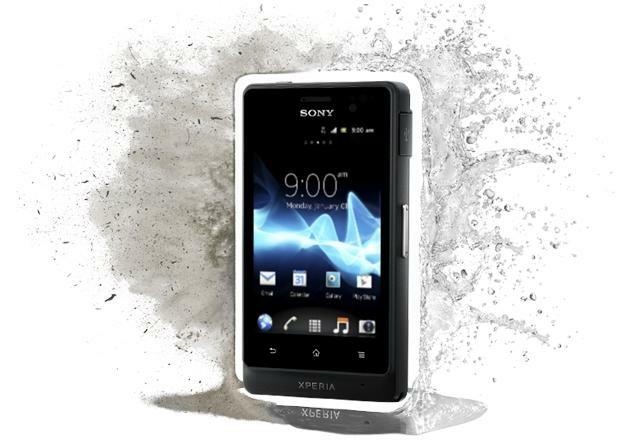 The Sony Xperia go has a water and dust resistant rating of IP67, the highest industry level rating according to Sony. In addition to its dust proof and water resistant capabilities, the Sony Xperia go has one other lifestyle feature up its sleeve. It claims to offer a feature called "wet finger tracking", meaning the phone will work perfectly when either the screen or a user's fingers are wet. Sony used the example of text messaging in the shower or preparing dinner in the kitchen as two real-life scenarios where this feature will benefit users. The Xperia go measures less than 10mm thick and Sony says it proves that rugged phones "don't need to be thick or ugly anymore". Weighing only 110g, the Xperia go is a compact smartphone and is a much smaller device than many of the current flagship phones on the market. If the likes of Samsung's Galaxy S III and the HTC One X are simply too big for you, then the Xperia go may fit the bill. 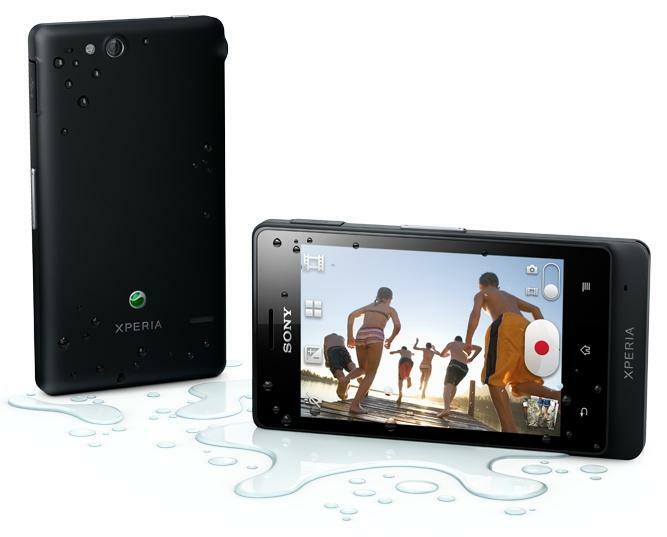 The Sony Xperia go can survive underwater at a depth of up to one metre for around 30 minutes. Aside from its rugged capabilities, the Sony Xperia go has mid-range specifications, so it doesn't really break any new ground. It has a reasonably-sized 3.5in LED backlit touchscreen with what Sony calls its BRAVIA Mobile Engine. This feature promises image noise reduction, along with sharpness, colour and contrast enhancements when viewing images and video. Most of the Sony Xperia go's other features are fairly standard. It has a 5-megapixel camera with single-LED flash that doubles as a 720p video recorder, has 512MB of RAM and is powered by a 1GHz, single-core processor. Sony says the camera has a fast capture features that enables the phone to go from sleep to taking a photo in just over a second. The Xperia go measures less than 10mm thick and Sony says it proves that rugged phones "don't need to be thick or ugly anymore". Disappointingly, the Sony Xperia go ships with the outdated Gingerbread 2.3 Android platform, which the company has admitted is a disadvantage from a retail perspective. Sony says the phone will be upgradeable to Android 4.0 Ice Cream Sandwich by the end of the year, but ICS isn't even the latest version of Android anymore. With that being said, Sony's custom UI overlay is usually one of the better skins in the Android world so we expect that to be the case again with the Xperia go. The Sony Xperia go will be available in warm yellow or black colours. It will sell through Optus from 1 September for $0 upfront on the $30 Optus Plan and will also be available through Telechoice and Allphones stores across Australia.